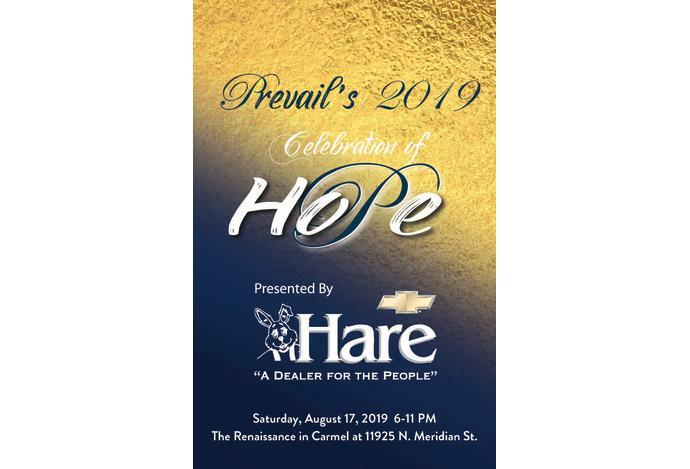 We are pleased to announce that Hare Chevrolet will once again present Prevail’s 2019 Celebration of HOPE on Saturday, August 17, 2019 at the Renaissance Hotel in Carmel from 6:00-11:00 p.m.
Every year our community looks forward to this SELL OUT event! Join us for a formal evening of celebration with a plated dinner, live dance band, and an opportunity to network with over 400 guests. 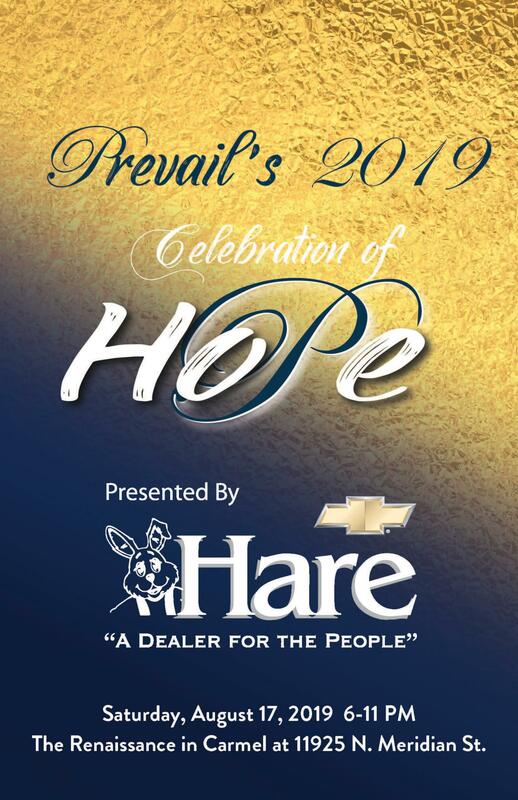 The event will feature a live and silent auction, as well as several additional opportunities to support Prevail’s life saving services. Thanks to you and our supporters, last year’s event raised over $200,000! With those funds Prevail was able to continue to assist the growing number of victims in our community, at no cost.